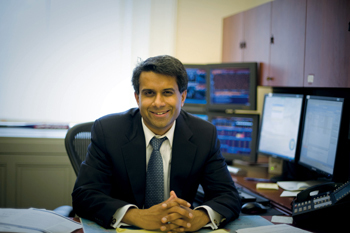 Karthik Ramanathan ’94 has left his post at the Treasury Department, where he had overseen the issuance of more than $8 billion of debt, to work in the private sector. Ramanathan, who joined Treasury in 2005 from Goldman Sachs, was entrusted with the responsibility of ensuring the efficiency of the government’s debt auctions, a task that has only grown in importance in light of the financial crisis and the increase in the deficit. Ramanathan “has made terrific contributions” to Treasury’s seasoned debt management team,” U.S. Treasury Secretary Timothy Geithner told The Wall Street Journal. Mark C. Minton ’67 has been elected president of The Korea Society, an American organization “dedicated to the promotion of greater awareness, understanding and cooperation between the people of the United States and Korea.” According to the society’s website (www.koreasociety.org), he has served for 32 years as a senior Foreign Service officer, playing a prominent role in interactions between the U.S. and Asia. Minton served as U.S. Ambassador to Mongolia from September 2006–September 2009 and also served as deputy chief of mission at the U.S. Embassy in Seoul as well as in various other diplomatic posts. He also has taught as a Diplomat-in-Residence at the City College of New York. Michael F. Mundaca ’86 has been appointed by President Barack Obama ’83 as assistant secretary for tax policy at the Treasury Department. He previously was senior adviser for policy at Treasury’s Office of Tax Policy and was the acting assistant secretary for tax policy. Mundaca was appointed to Treasury in 2007 as deputy assistant secretary for international tax affairs. In the private sector, Mundaca was a partner in the International Tax Services group of Ernst & Young’s National Tax Department and has been an adjunct professor at Georgetown University Law Center. He also served in the Treasury during the Clinton administration. Award-winning newsman Newt J. “N.J.” Burkett ’84, ’85 SIPA has earned another trophy for his shelf and another fascinating tale to share with his New York audience through WABC television. Burkett and his team received the Radio Television Digital News Association’s 2010 Regional Edward R. Murrow Award in the video continuing coverage category for large television markets. 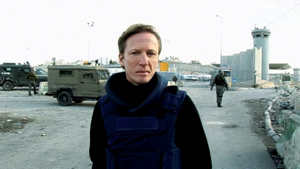 He won for his coverage from Gaza in January 2009. CCT profiled Burkett in September/October 2006. James Shapiro ’77, the Larry Miller Professor of English, has garnered headlines for his latest book, Contested Will: Who Wrote Shakespeare?. Continuing this theme, he authored an extensive piece in the March 26 Financial Times questioning the reluctance of Shakespeare scholars to accept collaboration as a significant component of Shakespeare’s work. “Many scholars, including some of those most responsible for the transformations in Shakespeare studies, have had a hard time letting go of otherwise unsupported biographical claims that Shakespeare wrote Hamlet to commemorate the death of his son, or that The Tempest marks his leave-taking from the stage and retirement to Stratford — conveniently overlooking three subsequent collaborations with John Fletcher,” Shapiro wrote. The author of multiple volumes on Shakespeare, Shapiro is working on The Year of Lear: Shakespeare in 1606. Tony Kushner ’78’s latest play, The Intelligent Homosexual’s Guide to Capitalism and Socialism With a Key to the Scriptures, will premiere in New York next spring in a co-production by the Public Theater and the Signature Theater Company, according to The New York Times. The play, first produced in Minneapolis last year under a commission from the Guthrie Theater, will open on March 22, 2011, in the Public’s Newman Theater. Kushner has continued reshaping the play after the Guthrie production, citing his recent work editing Arthur Miller plays as influencing his revisions of the script. He is noted for his Pulitzer Prize-winning play Angels In America: A Gay Fantasia on National Themes.